Farmers participate in Hybrid Rice Derby. 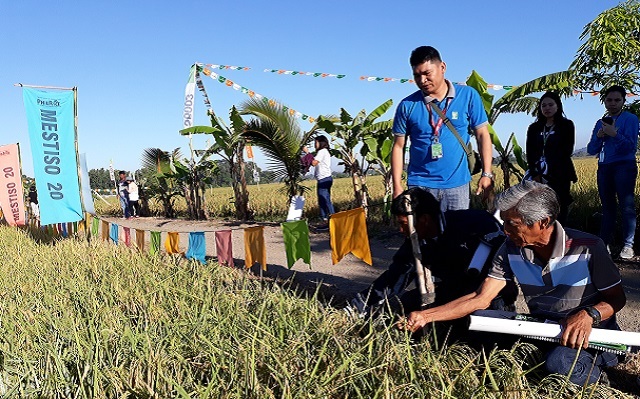 More than 200 rice farmers, researchers, agricultural technicians, and local officials participated in the Hybrid Rice Derby: Provincial Techno Forum and Harvest Festival in Cabugao, Ilocos Sur on February 1. One of the 18 hybrid rice varieties showcased is Mestiso 20, a public hybrid rice that yields 6.4-11.7t/ha and matures in 111 days.